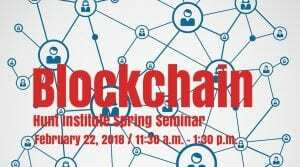 The Hunt Institute will transform into a conversational hub for computer science, blockchain and social impact during the Hunt Institute Seminar Series on Thursday, February 22 nd. Xiaochen Zhang, president and founder of FinTech4Good, will discuss the social impact of blockchain. Anna Carroll, a graduate student in the Darwin Deason Institute for Cyber Security in SMU’s Lyle School of Engineering, will join Zhang to discuss the implications of this technology. Chris Kelley, a Senior Fellow in the Hunt Institute, will moderate the discussion. Before the seminar, Carroll visited the Hunt Institute to explain the use and development of blockchain. She said that blockchain is a system that can be applied to any transaction that should be tracked. Simply put, blockchain is a system of accountability. If you had to pay a coworker one dollar, it would be smart to pay them in front of an authority figure, for example your boss. That way, the coworker could not later claim that the exchange never occurred. Now, imagine paying that coworker in the middle of a company meeting. Every other employee would be a witness to that transaction. It would be virtually impossible for the coworker to claim that he or she never got that dollar. Blockchain works in a similar way. By including more people as witnesses to the transaction, blockchain eliminates the risk of a single point of failure. Blockchain increases in efficacy as the number of users increases. It is better to have 1,000 people using a blockchain than to have ten people using a blockchain. In this system, there is security in numbers. If there are more people invested in the blockchain, there are more people acting as watchdogs for the security of the blockchain. If there was a need for a secure, public transfer, blockchain could be effective. With both its virtues and challenges, blockchain is an exciting addition to the digital world. 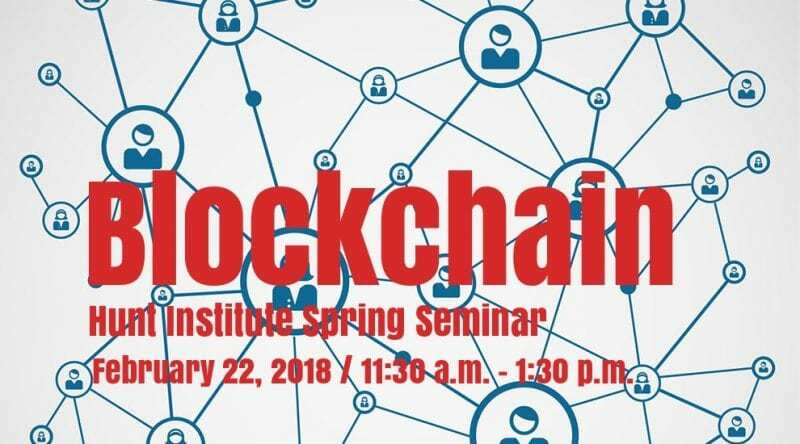 Zhang and Carroll will discuss blockchain and its implications at the Seminar Series tomorrow during the 2018 Spring Seminar. Please click here for more information about this event.